2.5" longer than regular Gildan Ultra Cotton T-shirt. Double-needle stitching throughout; seamless collar; taped shoulder-to-shoulder; 2 1/2" longer than the regular Gildan Ultra Cotton T-shirt. 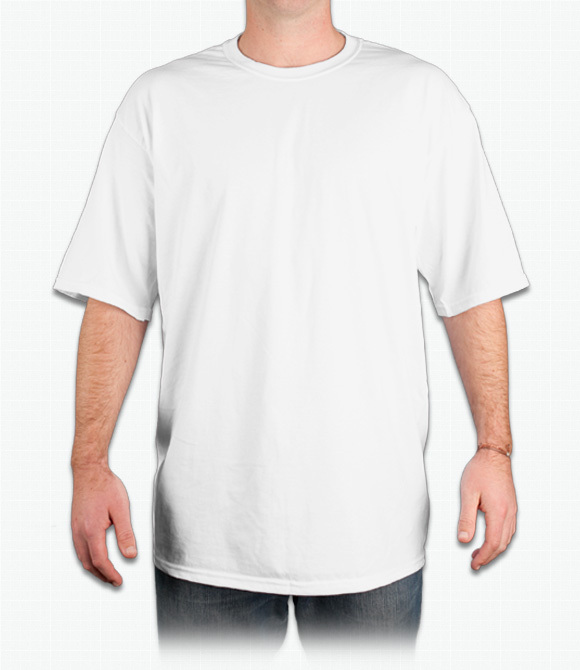 Same high quality material as the original Gildan Ultra Cotton T. Extra shirt length provides a comfortable fit. Great for all occasions. "I am so happy with the tshirt quality that I am planning on purchasing more!" "I think you could've approved the art faster since someone had previously ordered the shirt... And the artwork was the same, from the link they shared." "I thought the Hanes Beefy Tall Tees were great, but like these Gildan Ultra Cotton Tall Tees are even better! They are a tad shorter in overall length than the Hanes which means they fit me perfectly! Now, if they don't curl up on the bottom like Hanes does, then these Gildan tall tees will quickly become my favorite. With the holidays approaching fast, my only wish is that Ooshirts offered gift certificates so my family could buy me some for Christmas. If you offered that there would be no need to get my shirts from anywhere else! Note: Besides t-shirts I am also interested in buying v-neck tees but no one carries a v-neck with a heavier weight and a longer length, Gildan tall tees are 6.1 ounces with a length of 34.5, but your only v-neck that comes close is the Anvil which is only 4.5 ounces with a length of 32 inches. The Anvil DOES offer a 33 inch length but I would have to get it a size larger."